Upload any list data, pool data, existing pool owners and snap pictures of pools right into the app. SalesRabbit is a cloud-based platform and mobile app that assists pool companies to seamlessly manage their leads and opportunities. Our SalesRabbit team knows how precious a client can be. Neglecting to follow-up with a client or being unable to service a deal causes your company to lose out on income. With always being in the field, being organized and having information on the fly is critical to capturing your market and scaling your business. Be the company that gets the deals first—SalesRabbit will get you there! SalesRabbit acts as a catalyst towards increased efficiency, focus, drive, and productivity in your efforts. With key features like Lead Management and Rep Management, both managers and reps can organize their game plan with the best sales app on the market. Lead Management offers you the best sales lead tracking software around. In the Lead Management section, view your entire lead list, and rank leads according to level of interest and importance. Drop pins on your electronic map to monitor progress with leads. Sync lead information with your entire team to keep everyone in the loop—instantly! With Rep Management, the manager of your pool sales or service team creates and designates reps to an area. 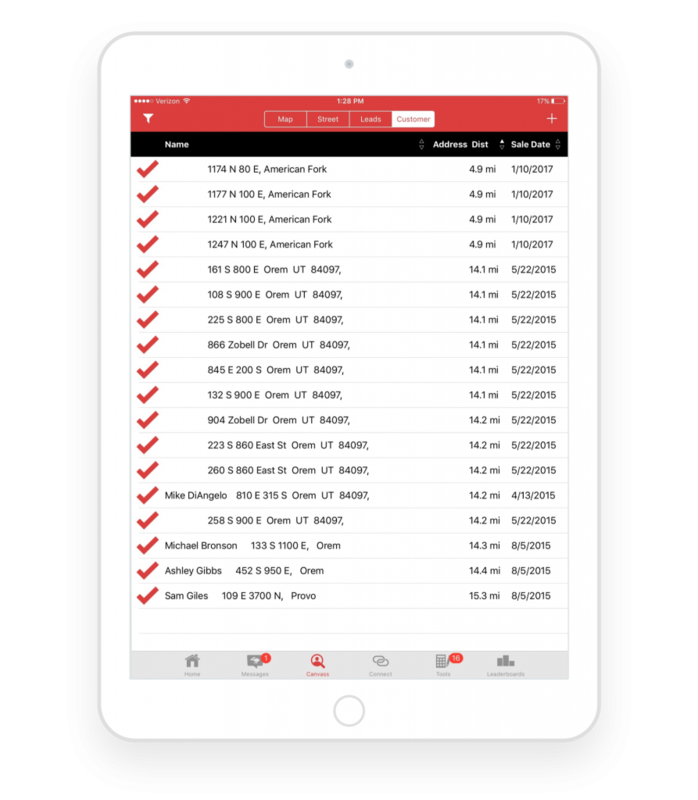 Even when your team is dispersed throughout their areas, the manager can continue to update assignments, check in on reps with GPS tracking, and monitor success rates with this invaluable sales territory software. As the best sales app for pool companies selling their services, SalesRabbit is ready to take your sales to the next level!